Methods to catalog and computationally assess the mutational landscape of proteins in human cancers are desirable. One approach is to adapt evolutionary or data-driven methods developed for predicting whether a single-nucleotide polymorphism (SNP) is deleterious to protein structure and function. In cases where understanding the mechanism of protein activation and regulation is desired, an alternative approach is to employ structure-based computational approaches to predict the effects of point mutations. Through a case study of mutations in kinase domains of three proteins, namely, the anaplastic lymphoma kinase (ALK) in pediatric neuroblastoma patients, serine/threonine-protein kinase B-Raf (BRAF) in melanoma patients, and erythroblastic oncogene B 2 (ErbB2 or HER2) in breast cancer patients, we compare the two approaches above. We find that the structure-based method is most appropriate for developing a binary classification of several different mutations, especially infrequently occurring ones, concerning the activation status of the given target protein. This approach is especially useful if the effects of mutations on the interactions of inhibitors with the target proteins are being sought. However, many patients will present with mutations spread across different target proteins, making structure-based models computationally demanding to implement and execute. In this situation, data-driven methods—including those based on machine learning techniques and evolutionary methods—are most appropriate for recognizing and illuminate mutational patterns. We show, however, that, in the present status of the field, the two methods have very different accuracies and confidence values, and hence, the optimal choice of their deployment is context-dependent. Insight statement: One of the grand challenges in understanding cancer progression is to find mechanistic links between molecular alterations and the hallmarks of cancers. As we gather clinical data at a large scale aimed at molecular profiling of patients or patient cohorts functionally annotating the data—or deriving mechanistic insights from the data—becomes ever more challenging. 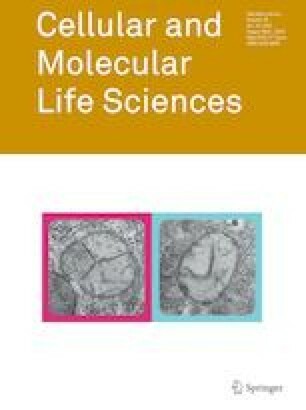 In this article we provide an integrative framework for combining the state-of-the-art in two different fields namely structural biology and machine learning to delineate hitherto unknown mechanisms and relationships in cancer genomes—an approach that has the potential to make a significant clinical impact in oncology. The online version of this article ( https://doi.org/10.1007/s00018-019-03097-2) contains supplementary material, which is available to authorized users. We thank G. S. Stamatakos, N. Graf, and members of the CHIC consortium and the Radhakrishnan Laboratory for insightful discussions. The research leading to these results has received funding from the European Commission Grant FP7-ICT-2011-9-600841 and National Institutes of Health Grant U54 CA193417, U01 CA227550, and R35-GM122485 (MAL). Computational resources were provided in part by the National Partnership for Advanced Computational Infrastructure under Grant no. MCB060006 from XSEDE.